So, you have been studying hard all year and the dreaded exam time is just around the corner. Now more than ever, it’s vital you keep your head and don’t lose your cool. As long as you have taken the time to study your course materials and made plenty of notes, there’s no reason for you not to come out the other side with the marks you want and need. Oxford Learning College has been helping students achieve their needed exam results for over 10 years now and along the way, we have learned a few things about exam prep and how best to approach the examination period. Go back over all of your notes for the particular subject, read, re-read and then read them again just to make sure. If anything stands out as not making much sense, or not ringing any bells, do some research on it, ask your tutor for clarification once more and make better notes. Find and complete practice questions or past papers for the subject, get yourself and your skills honed for writing essay style questions covering what is needed in the time available. Do the questions or papers under timed conditions to give yourself a feel of being in an exam. Make easy to use and carry flash cards on the subject. Where you can, use visual ques and words to prompt your memory. Get family or friends to test you with the flash cards to really drill the information in. Form a study group with others studying towards the same exam, bounce ideas / concepts / theories off each other to see things from other points of view and to give you more confidence in your own knowledge on the subject. Vary your place of study, instead of locking yourself away in your boring room, find new places to sit and revise, a nice park, quiet library corner or even a Starbucks! Just make sure you keep the distractions to a minimum and actually focus on your revision. Cram! 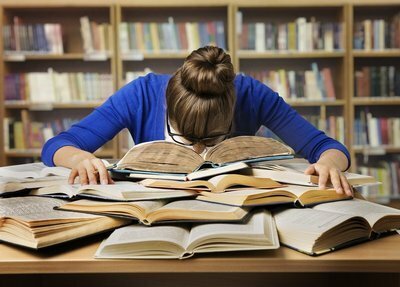 Cramming is one of the worst things you can do, whether it’s a few hours before the actual exam or the night before the exam, all it’s going to do is raise your stress and anxiety levels which will result in you forgetting the things you already knew. Have a late night or series of late nights before exam time. Nothing is worse than trying to focus on something important when you are tired and your mind is busy drifting off to dreamland. Get regular early nights as often as you can before the big day. Assume you know all there is to know and not bother revising at all. No matter how confident you are about the upcoming exam, it can never hurt to take some time to just recap over your notes a few times and refresh your mind on the subject in hand. Whether you are about to sit your GCSEs, A Levels or University exams, Oxford Learning College would like to wish you good luck!